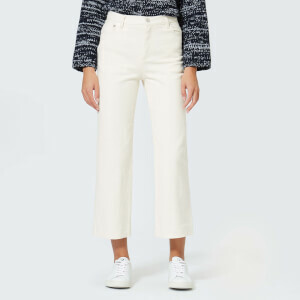 Skinny high waisted trousers from Alexander Wang. Presented in a virgin wool blend, the black and white striped pants feature belt loops, five pocket styling and zipped cuffs. Oversized silver-tone buttons add detail throughout.